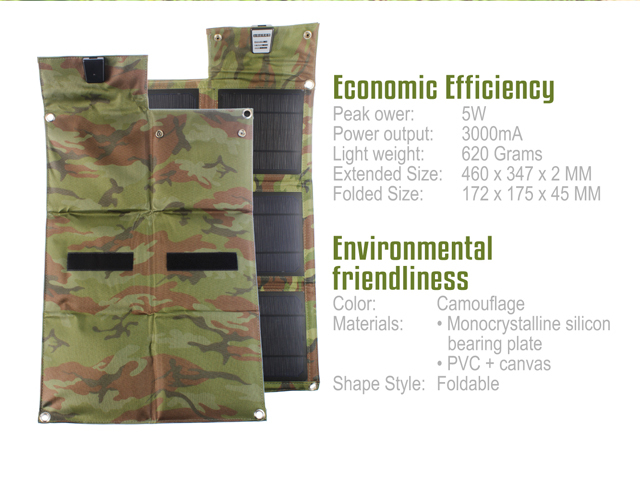 Solar panel Type is crystalline silicon, the most efficient solar panel on the market. 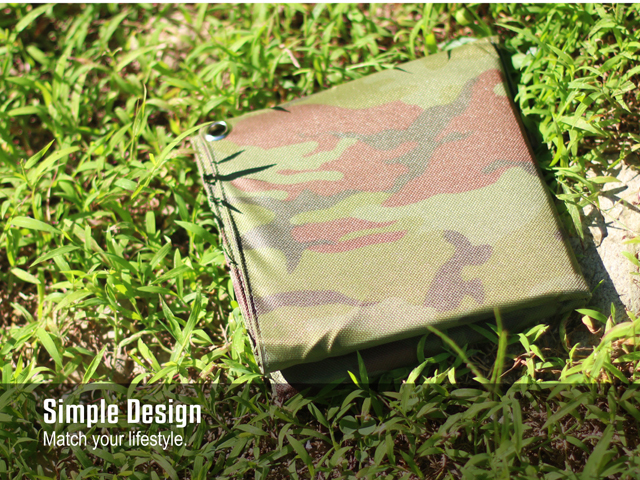 Small and Compact; folded up it is about the size of a novel. 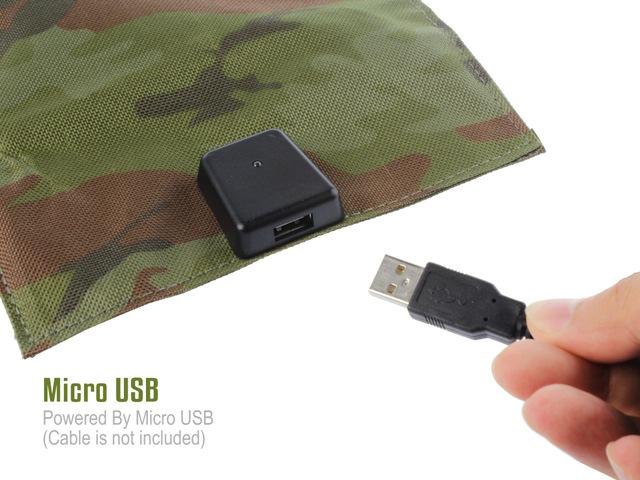 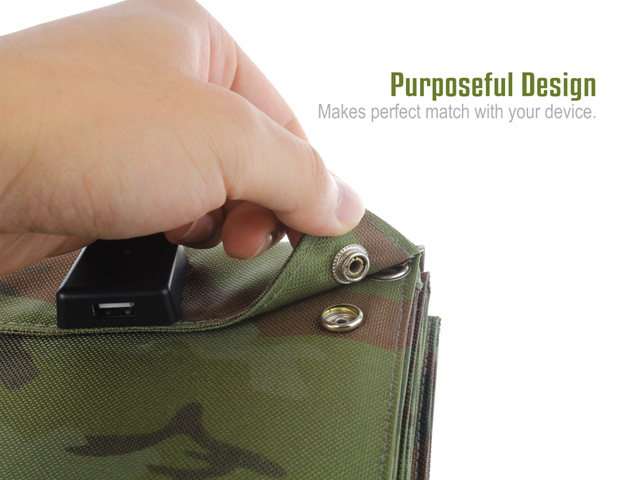 It can open up and charge from your dashboard or backpack. 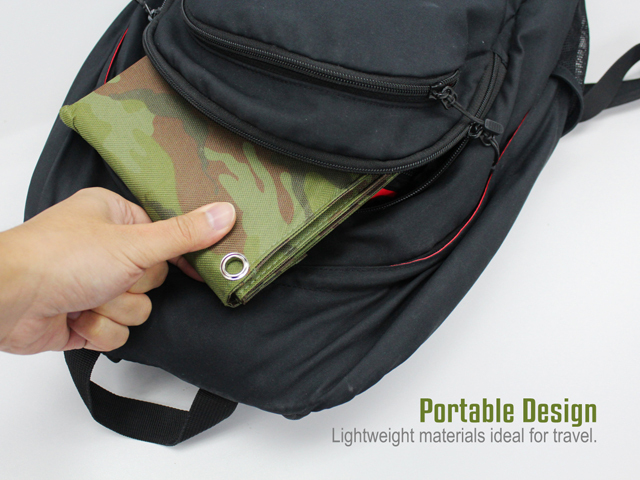 Really just throw it out wherever you may be. 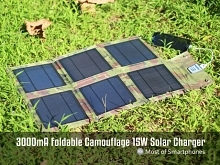 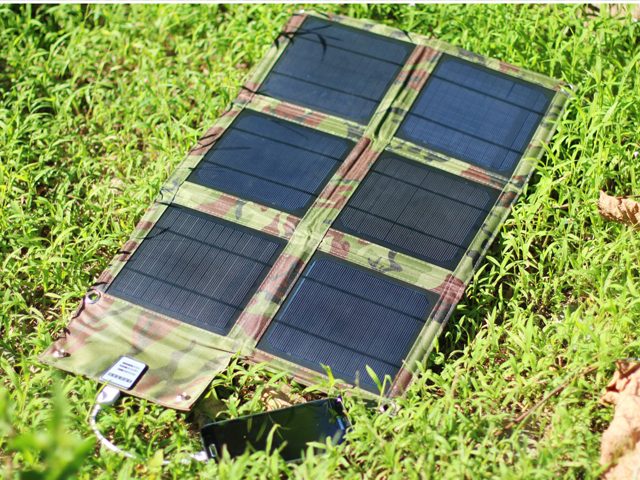 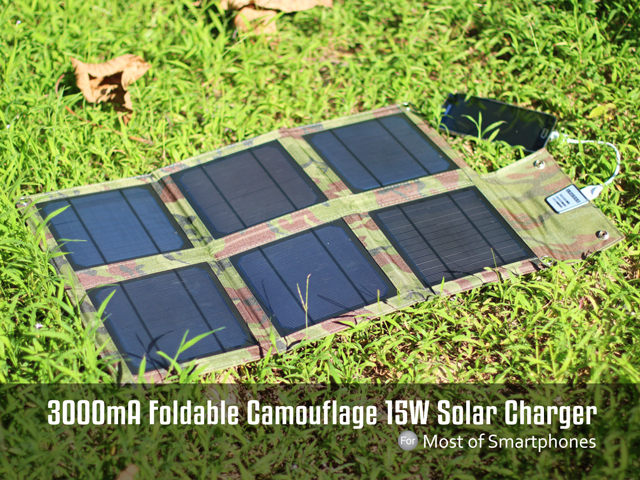 Use this when you go camping for an easy-to-use solar charging power source.